I always encourage my clients to find a spot for their engagement session that truly reflects their individual personalities, their love for one another, and a place where they’ll both feel comfortable. When Shenee and I were discussing possible locations for their upcoming engagement session, and she mentioned a horse farm – I was jumping up and down, rockin’ out my very best (yet still horribly awkward, cause that’s how I roll) happy dance! 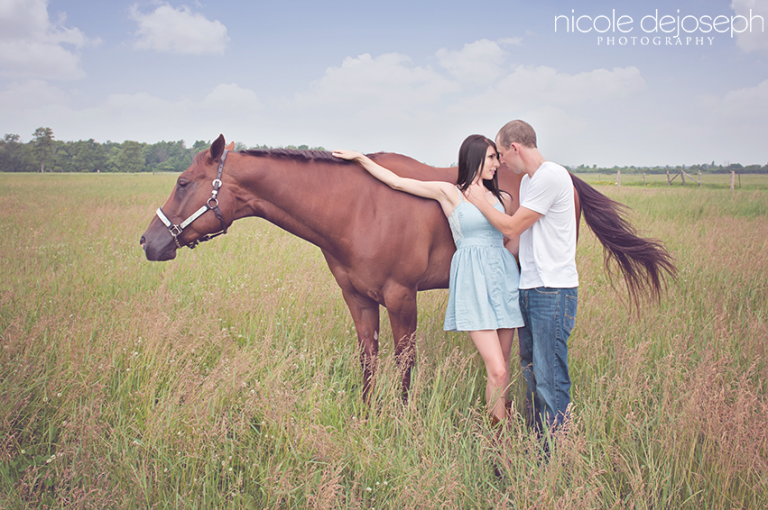 There’s just something so wonderfully magical about an image of two people in love and a majestic animal! 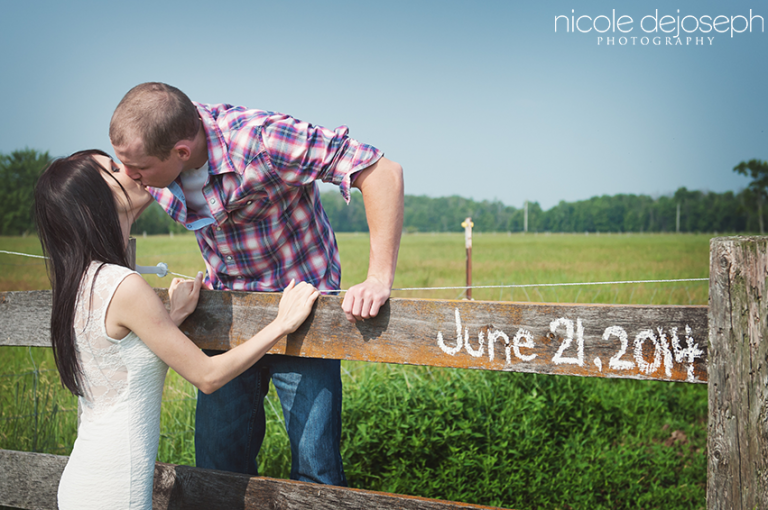 I simply couldn’t get enough of this horse, this location and this adorable couple! Shenee and Kyle, thanks so much for an excellent morning spent of the farm. I got a little dirty, and I think I may have shown up to my lunch meeting that followed your session with horse poop on my outfit – but it was totally and completely worth it! 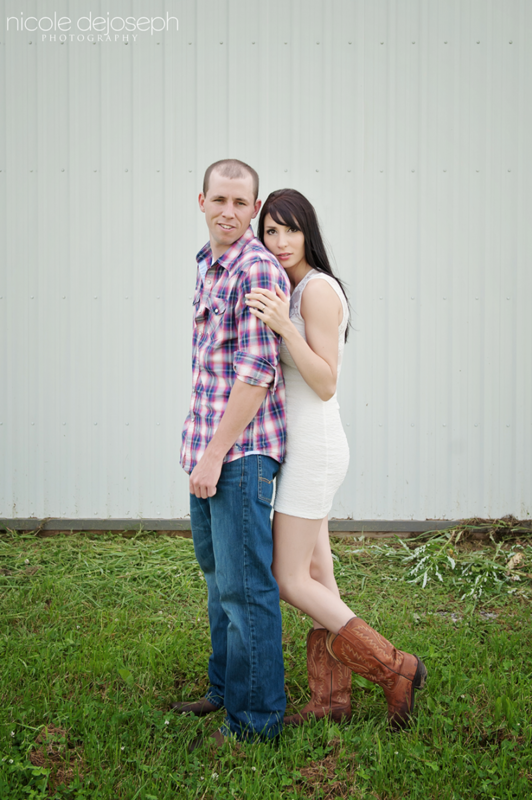 It was a pleasure getting to know you both better and I cannot wait to capture your love day in 2014!